Photo: Brian Kinney / Shutterstock.com. 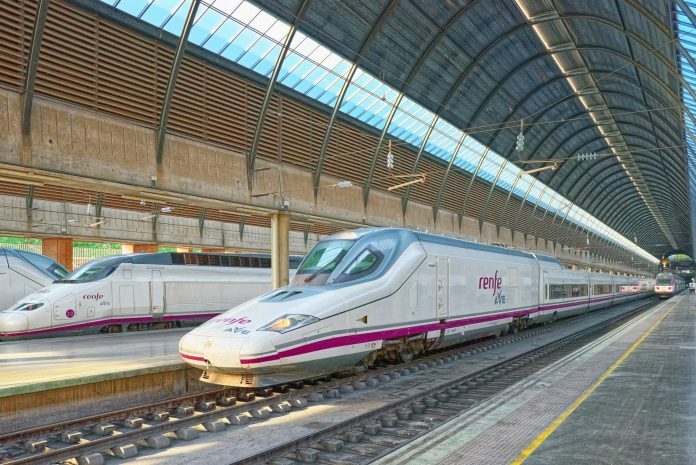 Spain’s national rail operator, Renfe, and the Italian open access operator NTV have received the necessary paperwork from the UK’s Department for Transport (DfT) to bid for future passenger rail franchises. Both operators have received what are known as pre-qualification questionnaire (PQQ) passports, which will allow them to bid for multiple franchise competitions without having to submit the same PQQ information each time. The passports are valid for all competitions held up until September 2019. The full list of 18 companies to hold PQQ passports includes various domestic and international companies, including SNCF, Trenitalia, MTR and East Japan Railway. NTV launched its high-speed Italo service between Milan, Rome and Naples in 2012. Last year, the service carried around 13 million passengers.